"A heartbreaking anatomy of one family's grief. . . . Beautifully written and authentic." "Exquisite, powerful. . . . Strayed's Torch is an amazing feat. . . . This is autobiographical fiction at its best." 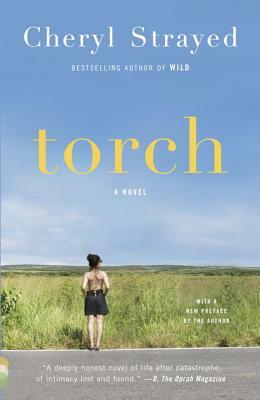 "Torch is a steady stream of finely wrought portrayals of nuance, moments and emotions. . . . Lovely turns of phrase are coupled with subtle and keen observations and truisms that remind a reader why she reads." "Strayed proves a master of the little and the big. . . . There is throughout the novel a perfectly tuned ear. Combined with her empathic skills, she has transformed these familiar themes into an irresistibly engaging debut read." "This novelist goes fearlessly into this place of raw grief and inappropriate lust and desperate love and simply reports what she sees: These are people who . . . live dense, perplexing, fascinating and authentic lives." "[Strayed] astounds—producing a literary balm for those who know what it means to lose a parent. Coming on the heels of Joan Didion's memoir, The Year of Magical Thinking, Torch echoes a similar theme: loss of a loved one will usher chaos into your life; it will shake you to your core; on its worst day, grief will make you absolutely crazy." "Strayed...has a light hand, delivering emotional scenes with a journalistic eye, picking out the important details without resorting to purple prose. . . . Very moving." "Strayed addresses this universal theme with skill and unflinching compassion by creating exceptionally believable characters. . . . The details are precise, understated and devastating. . . . The metaphors are original and rich. . . . In short, this is a very moving and accomplished novel."